Freshwater pearls are made from solid nacre. It’s quite rare to find them in perfectly round shapes. Only 2% of all freshwater pearls are round or nearly round. However, the majority of them are irregular. This type of pearl comes in a variety of natural colors such as orange, pink, cream, lavender, and white. Akoya pearls are the most popular form of traditional pearls. They are perfectly round in shape, and its popularity dates back to the beginning of the twentieth century. Akoya pearls are found in the sea-beds of Japan, China, Southeast Asia and the Persian Gulf, with its average size ranging from 6 to 8 mm in diameter. They come in pink, cream, white and rose colors. Their highly lustrous nature makes Akoya pearls unique. The exotic look of Tahitian Pearls has bought fame to itself. 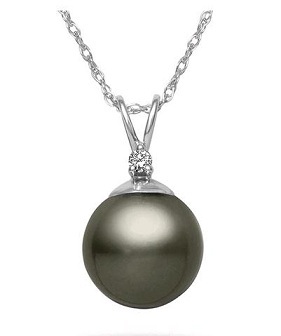 Though not entirely black in its appearance, Tahitian pearls are known as Black Pearls. These pearls, in fact, have the widest range of colors of any other pearl found in nature. They come in black, grey, brown, blue to green, pink, yellowish green and purple colors. South sea pearls are the largest and the most valuable pearls available in the market. They measure from 8mm to as much as 20 mm in diameter. Since they are formed in warm waters for a long period of time, they exhibit a unique lustrous glow. These pearls come in silver, cream, yellow and golden colors. These are in fact the most beautiful pearls the earth has to offer. Leading jewelry stores can offer a wide range of pearls at competitive prices. Deal with a certified jeweler and treat yourself to best pearl jewelry, such as pearl earrings or necklaces after carefully determining the quality, luster and market value. This entry was posted in Shopping and tagged pearl earrings, pearl necklaces by [email protected]. Bookmark the permalink.